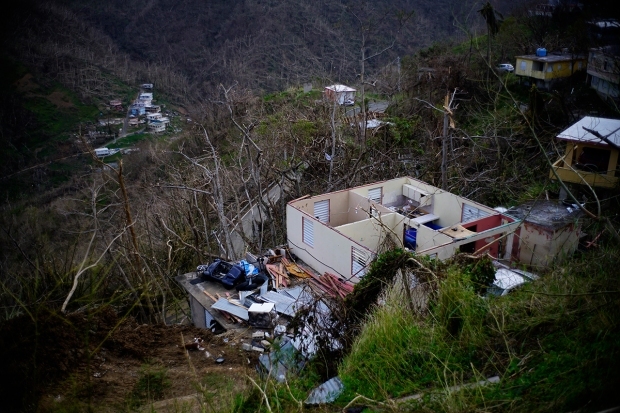 The Senate passed a $36.5 billion emergency aid measure Tuesday to refill disaster accounts, provide a much-needed cash infusion to Puerto Rico, and bail out the federal flood insurance program. The 82-17 vote sends the measure to the White House, where President Donald Trump is sure to sign it. The measure provides $18.7 billion to replenish the Federal Emergency Management Agency's rapidly dwindling accounts, and $16 billion so the flood insurance program can keep paying claims. It brings the total approved by Congress during this fall's hurricane season to more than $50 billion — and that's before requests expected soon to cover damage to water and navigation projects, crops, public buildings and infrastructure, and to help homeowners without flood insurance rebuild. "We're still waiting for all the data to come in from Texas to determine what the need is," said Rep. Blake Farenthold, R-Texas, whose Gulf Coast district was slammed by Hurricane Harvey. "We've already done the supplementals to keep the agencies going, but the long-term stuff — public assistance, FEMA and housing — are the big questions. We still haven't gotten all the numbers in from the state." The measure fails to address demands from the Florida and Texas delegations for more funding now, but lawmakers representing those states have won assurances from GOP leaders like House Speaker Paul Ryan, R-Wis., White House budget director Mick Mulvaney and Trump himself that more help is in the works. "I want to stress that much, much more will be needed in my state," said Sen. John Cornyn, R-Texas. "It's not over and done with, and it's not time to just move on." The current measure would permit FEMA to allocate up to $5 billion to assist Puerto Rico's central government and various municipalities through a cash crisis. Maria has largely shut down the island's economy and choked off tax revenues. The island's electric grid has been mostly destroyed and more than one-fourth of Puerto Rico's residents don't have potable running water. Some conservatives, however, are becoming uneasy with the steadily growing cost of this year's spate of hurricanes. "People here will say they have great compassion and want to help the people of Puerto Rico and the people of Texas and the people of Florida," said Sen. Rand Paul, R-Texas. "It is compassion with money that doesn't exist, money that's borrowed." 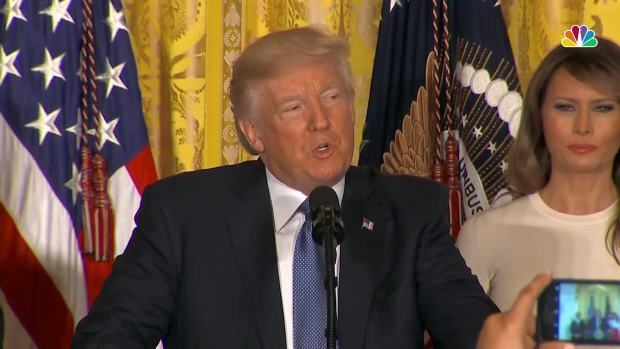 President Donald Trump tried on a new accent while honoring Hispanic Heritage Month as he spoke about the devastation on Puerto Rico from Hurricane Maria. Trump also dodged a reporter's question at a later event, telling a reporter "You'll find out" when she asked about his "calm before the storm" comment. But Republicans controlling Washington are proving more willing to send aid to Texas and Florida this year than they were with New York and New Jersey after Superstorm Sandy hit those states — which are strongly Democratic — five years ago. And just last year, Republicans held up funding sought by President Barack Obama to combat the threat of the Zika virus and to help Flint, Michigan, repair its lead-tainted water system. Now the challenge is whether Puerto Rico, which sustained enormous damage after Hurricane Maria's landfall more than a month ago, will get enough aid to rebuild. 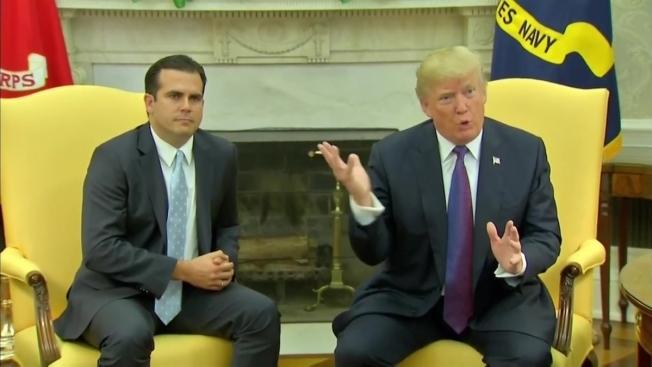 Trump tweeted earlier this month that the federal government can't keep sending help to Puerto Rico "forever" and suggested that the U.S. territory was to blame for its financial struggles. "You've got over 1,000 communities that haven't had any assistance," said House Appropriations Committee Chairman Rodney Frelinghuysen, R-N.J. 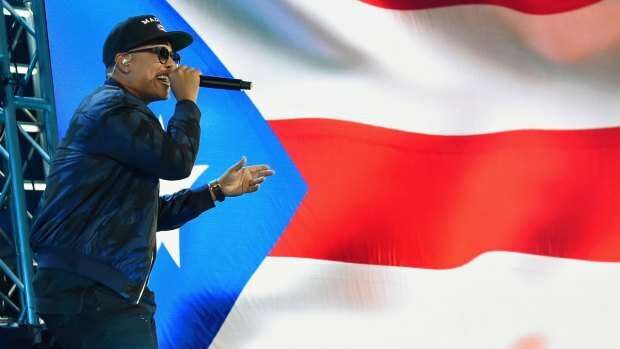 He said Puerto Rico, which is a U.S. territory whose people are American citizens, can "absolutely" count on Washington to treat the island as an equal to Texas and Florida. There's also unrest among opponents of the heavily subsidized federal flood insurance program, which many lawmakers say is in need of reform. The federal flood insurance program, said Sen. Mike Lee, R-Utah, "encourages thousands of Americans to live in some of the most dangerous real estate in the country."